FREE SHIPPING!! BUY AND MULTIPLY OFFER!! The Motorola RMU2040 two way radio offers 4 channels and 2 watts of power, providing coverage for up to 250,000 square feet or 20 floors and operates on UHF frequencies. The RMU2040 is convenient and simple to use. LIMITED TIME OFFER - Choose a FREE radio or $150 Prepaid Card or a FREE Multi-Unit-Charging Tray for every six Motorola RM Series radios purchased! Click the "Buy and Multiply Offer!" tab above for details. The Motorola RMU2040 two way radio has 4 channels and 2 watts of power, providing coverage for up to 250,000 square feet or 20 floors. It operates in 12.5 kHz Narrowband on 99 selectable UHF frequencies with 219 PL/DPL codes, including 6 customizable codes. The RMU2040 is convenient and simple to use. A tri-color LED alerts the user to the radio's status and features. 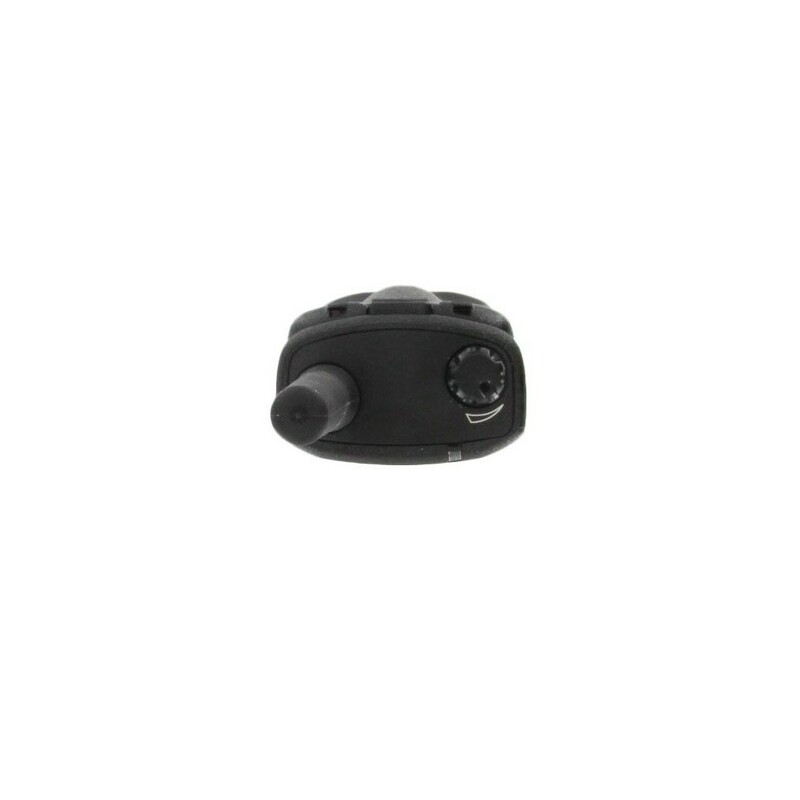 Two programmable buttons give quick one-touch access to features. The Motorola RMU2040 radio also has Channel Announcement with Voice Alias. Other standard features include channel scan, call alert tones, hands-free VOX mode (with optional accessories), 3 voice scramble codes, and more. Cloning the RMU2040 is quick and easy with an optional single-unit charger cloning cable or multi-unit charger (sold separately). Includes one Motorola RM Series RMU2040 two way radio, 2100 mAh 3.7V Lithium Ion rechargeable battery, swivel belt holster with 3.5" spring clip, drop-in charger, quick reference leaflet, RF safety booklet and a one year manufacturer warranty. 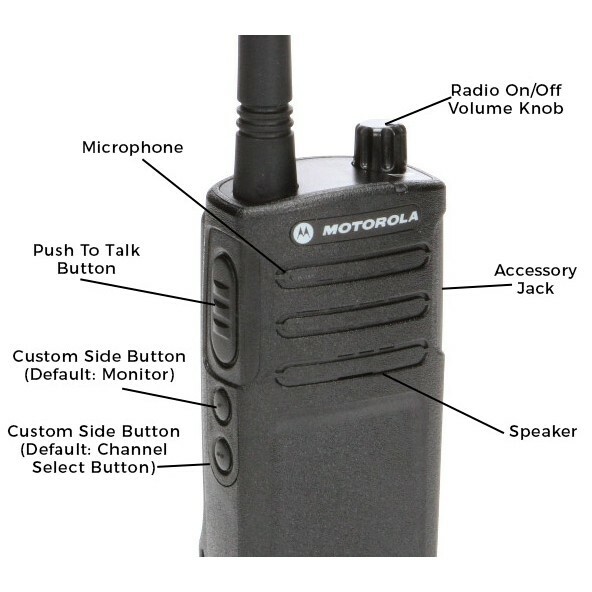 The Motorola RMU-2040 operates on UHF frequencies. This means it performs best inside steel or concrete structures. The Motorola RM Series two way radios were designed specifically with businesses and professionals in mind. RM radios boast exceptional audio quality along with industrial design and performance. They meet IP54/55 and Military Spec 810 C, D, E, F and G standards for shock, rain, humidity, salt fog, vibration, sand, dust, and temperature. RM Series radios also include Antimicrobial Protection. Worried about setup time? RM series radios can be configured through Motorola's free PC based Customer Programming Software. Settings can also be easily cloned from one radio to another, making it easier than ever to expand your fleet. Wondering about compatibility? 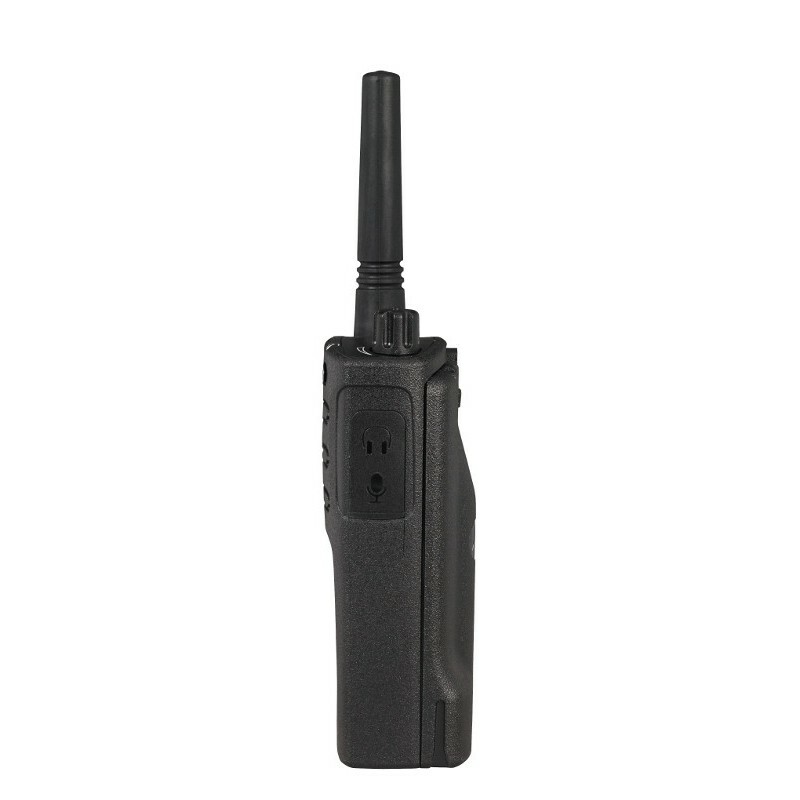 The Motorola RM series is compatible with all Motorola RDX, XTN, CLS and Spirit professional two way radios. Some users of XTN series VHF radios may need to change frequencies to be compatible with RM series radios. Dimensions:7.38" x 2.25" x 1.5"
Bought these to use at our Collision Repair facilities. To communicate from building to building with our employees. Our environment is very loud and the two way radios are very easy to hear. They seem very durable also. My business has 65 of these handsets in use over the last year, in a harsh environment(childcare), and not a single one has gone out. We have one handset that won't take a clone, and has to be programmed manually, but other than that, they're all still working. Our only real complaint is that the holsters wear out, and some of them no longer securely clip onto the handset. I bought ten of these radio's and they are perfect for communication in my shop. Motorola Buy and Multiply Offer! Purchase at least six Motorola DLR, RM or RD Series radios and choose one of three rewards: a free radio, a $150 Prepaid Visa® card, or a free Multi-Unit Charger! Buy 48 radios or more and double the rewards!. This is an excellent deal from Motorola and is available for a limited time only! This offer is fulfilled by Motorola directly, so the free radio, prepaid card or multi-unit charger will be sent to you after Motorola receives your online redemption claim. Offer valid on up to 60 radios purchased through June 30, 2019. Limit of one free radio or prepaid card or multi-unit charger per six radios purchased, up to 48. Limit of 2X Reward Bonus on 48, 54 or 60 radios. All groups of six radios purchased must be within the same product series. Offer valid from March 1 to June 30, 2019. Purchaser must redeem the free radio, prepaid card or multi-unit charger online at www.MotorolaSolutionsRadioRewards.com. Other rules and restrictions apply.Read the promotional flyer for details. NOTE: Redemption requests must be entered by 11:59 PM EST on July 15, 2019. Redemption submissions received after that date will NOT be eligible. Offer good only in the U.S. and Puerto Rico and is void where prohibited, taxed and restricted by law.